Heat oven to 350°F. Lightly grease 13x9-inch glass baking dish. Flatten biscuits with rolling pin. 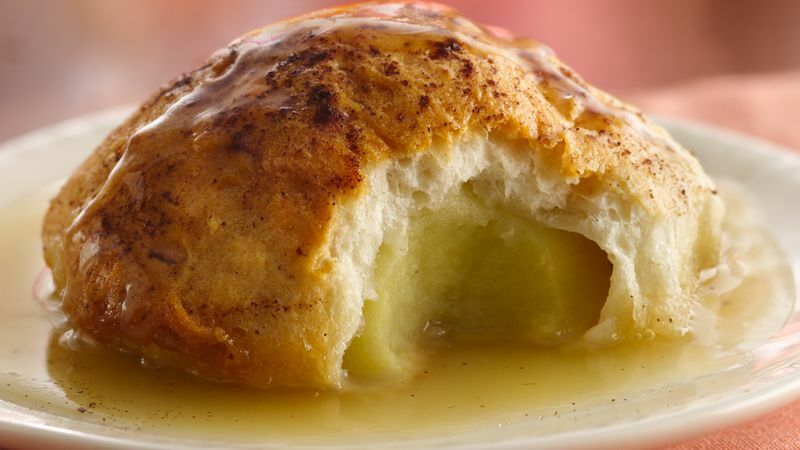 Place 1 teaspoon butter in the core area of each apple half. Wrap each biscuit around 1 apple half. Place seam side down in greased baking dish. Combine sugar, water, melted butter and vanilla; pour over dumplings. Sprinkle cinnamon over dumplings. Bake uncovered at 350°F. for 35 to 40 minutes or until golden brown and apples are tender.